This Monday, June 12, public forums in Winnipeg, Toronto and Charlottetown will connect people across Canada to discuss their priorities for the Canadian Poverty Reduction Strategy (CPRS). 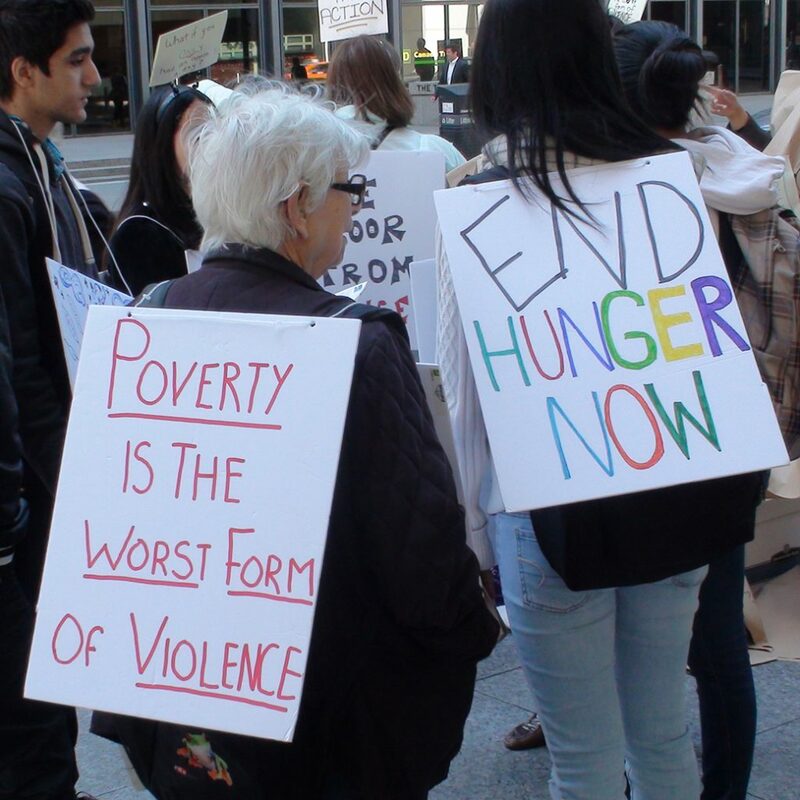 With 4.9 million Canadians in poverty and government consulting for the strategy until June 30, Campaign 2000’s forums will focus on the dire need for federal action on urgent recommendations to eradicate poverty. On the same day, Campaign 2000 will release a comprehensive CPRS submission, Federal Action Plan to Eradicate Poverty, outlining solutions with clear targets and timelines for success. Read full media advisory. Steelworkers Hall, 25 Cecil Street. Speakers include: Dr. Gary Bloch (St. Michael’s Hospital), Neethan Shan (Ward 42 City Councillor), Maya Roy (CEO YWCA Canada), Damon Johnston (Aboriginal Council of Winnipeg), Lubna Khalid (Working for Change) and many more. Winnipeg Harvest, 1085 Winnipeg Ave.